Founded in 2009, Brian Paquette Interiors provides full-service interior design. Our high end, bright Seattle interiors have been featured in Architectural Digest, Dwell, Luxe Magazine and more. 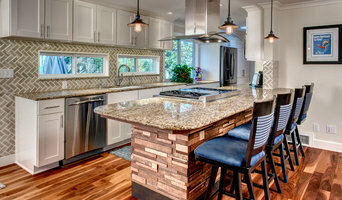 Seattle based interior designer specializing in creative build-out details for both remodels and new construction including: kitchen and bath design, space planning including furniture layout, sourcing materials, and project management. Our Mission: To create beautifully functional interior environments that meet our clients needs aesthetically, functional and economically. Design Philosophy: Our principal designer Lauren strives to create eclectic yet classic interiors, rich with pattern, texture and color. Often incorporating vintage, antique, sustainable or reclaimed materials to lessen the environmental impact and to create a space that has a lived-in feel. She stays true to her design philosophy that "good design" is achieved when an interior reflects the people who inhabit it while respecting the integrity of the home or space. Design Process: We work in partnership with our clients to understand their needs and what is important to them aesthetically. We believe that the design process should feel more like a collaboration, we want to get to know our clients. The initial meetings will typically take place onsite so we are able to better understand the space that will be re-designed and how the space will be used. Once we know the full scope of the project we will then work on the design concept. We will create floor plans, sketches, gather materials samples and assemble a team of contractors and craftsmen. We will also develop a project cost estimate, deliver a design contract and establish our fees. Typically our design fees are set and based on the total scope of the project but if the project calls for it we are able to charge on an hourly basis. This process is the same for both large and small projects and we love working on both alike. The Team: Our team is able to tackle any and all interior design related projects, both residential and commercial construction and furnishing. We routinely produce permitting and construction drawings as well as oversee the construction build out. Our focus is to collaborate closely with our clients to ensure that we meet the aesthetic and functional goals in their space. SPATIAL MATTERS INC. focuses on saving time & dollars, yet is able to create a truly unique and customized home to meet whatever goals you would like to achieve. We specialize in reclaiming, re-purposing and love designing custom made pieces. We curate your wishes so you have a space that's truly yours, adding thoughtful vignettes of your favorite pieces and leave you with a balanced, functional and aesthetically entertaining space that you'll have a hard time leaving. We offer Design, Decorating, Consulting & Project Management for Residential, Commercial and Vacation Rental Properties. Mission: EVERYONE DESERVES A SAFE SPACE, TO BE TREATED WITH DIGNITY & SUPPORTED BY THEIR COMMUNITY Mission: From the day the concept was born for Spatial Matters Inc, we've wanted to create solutions, not just for our amazing clients, but for our friends and neighbors in need. Our studio is in the heart of Pioneer Square, surrounded by social service buildings. In the last five years, the amount of homeless neighbors have drastically increased. How do you stare a problem in the face daily and ignore it? It's more important than ever to pitch in with solutions and help create safe spaces, shelter, and wellness support for the less affluent members in our communities. Our business has big plans for creating a future of resources for no income and low income housing. Beginning in 2019, we plan to donate products and services to those who can really use them to build their lives and by 2020, up to 5% of each project will be allocated towards contributing or creating private builds of tiny homes on land near the city- which will include opportunities with an emphasis on wellness. By supporting us, you're supporting our goal. For more information, please send us a message! 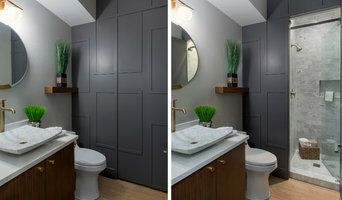 I have been remodeling homes with an eye towards maximizing function in small and surprising spaces. I like to utilize simple solutions to solve large working issues. I was born in the Seattle area, and have done a lot of traveling around the world. I begin my design process with an inspirational piece from my client—a teacup, a photo, a special gift, an heirloom—and then move the design toward a personalized solution of function and beauty. I would love to discuss your inspiration piece and how I can incorporate it into a project uniquely designed for you. Shelley Nordlund is the only award winning Seattle-based interior designer who expertly uses feng shui, the art of placement in her designs. Her company, Transformations for Interiors LLC works with home & business owners to update, remodel and/or build their spaces. 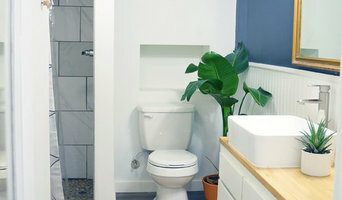 Get decorating tips and tricks at her blog on her website <a rel="nofollow" target="_blank" href="http://TransformationsforInteriors.com">http://TransformationsforInteriors.com</a>. Her company received the Best of Houzz Service Award for the 4th year in a row: 2015, 2016, 2017, & 2018. I love helping people choose colors and color is the simplest and most cost effective way to transform and add value to your home. I'll show you how to make great color choices with confidence and understand how colors can make a positive impression and get noticed (for the right reasons!) When working with me you will: Learn how colors can change the entire mood of a space Get colors right the first time and love them every day Learn how to transcend color trends and bring a timeless quality to your home Live in colors both you and your partner love I would love to help you make beautiful color choices so you will love your home! Nuance Interior Design is an interior design firm located in Issaquah, Washington led by Sarah Walker. 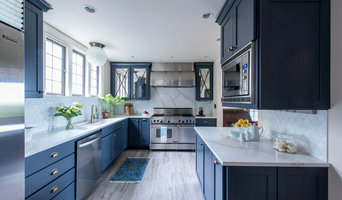 She is passionate about designing curated spaces with carefully selected furniture and décor, as well as beautiful kitchens, baths and whole home interiors for remodels and new construction. Nuance focuses on creating elegant and sophisticated custom home interiors that are tailored to each individual client’s taste and lifestyle. Sarah has a background in high-end residential design and strives to create spaces that reflect the clients’ personality in each project. She very conscious of the impact details have and she has a deep appreciation for quality materials and furnishings. Welcome to Studio 212! Our personalized approach to your home includes services ranging from the development of customized interior design plans, the selection of hand-picked design finishes and thoughtful space planning using new or existing furnishings, art and accessories. With over 30 years of combined experience, our team approaches your project as if your home were our own - with care, thoughtfulness and unparalleled attention to detail. We lover the Pacific Northwest and serve clients throughout Seattle, Portland and Sun Valley!